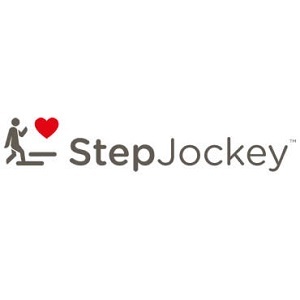 StepJockey, a specialist in health and anti-sedentary business, has announced a webinar which is to explore wellness and physical activity in the workplace. The webinar, which takes place at 12:30pm on Thursday 12th July, will be the first in a series exploring trends within workplace wellness, anti-sedentary behaviour and active buildings. The re-imagining of the built environment is increasingly being recognised as being a driver to sustainable employee health outcomes. With the growing popularity of the WELL and FitWel standards, it’s clear that the wellbeing of a building is becoming a market differentiator that can attract higher rental yields and meet the developing needs of health conscious tenants and individuals. To help those involved with managing property understand the health implications in more detail and take action to innovate their property, StepJockey will be hosting a unique webinar with Dr. Vivek Muthu. Dr. Vivek Muthu is the non-executive Chairman of The Economist Intelligence Healthcare Unit which uses clinically credible, evidence based approaches to help optimise health for a number of organisations. Dr. Muthu worked at London's Queen Square, the Hammersmith and John Radcliffe Hospitals before becoming a Clinical Editor at the British Medical Journal. Dr. Muthu has also held an honorary post at the Wessex Institute for Health Research and Development at the University of Southampton and holds a first class honours degree in medicine and surgery from Oxford and Cambridge. The webinar will be hosted by Laura Thomas, StepJockey’s Workplace Health Specialist. Laura is experienced in supporting properties globally to implement successful anti-sedentary programmes, using the principles of behavioural economics 'nudge theory’, change management, and gamification. Laura has worked with large corporate multinationals and multi-tenant properties to reduce lift usage and increase stair journeys for improved health and sustainability. Laura is a Certified Health Coach and a former Management Consultant for IBM’s Physical Asset Management practice.